Amazing discoveries of over 35 major links between the enigmatic and beautiful 'Amarna Period' of Pharoah Akhenaten and the Biblical Exodus, proving beyond any reasonable doubt that the Exodus actually happened, and who the relevant Pharoahs were, together with astounding photos and hundreds of translated ancient texts as well as mummy analyses which exactly match the Biblical account in detail and explain the likely motivations and reasons for most of the strange but vitally significant phenomena and features. 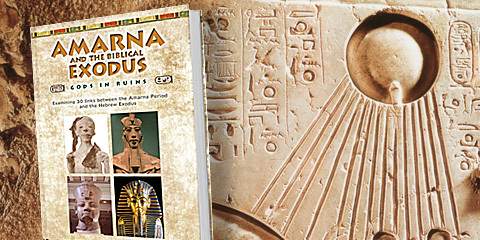 Other writers have puzzled over Akhenaten’s missing army and gold as well as his monotheism, together with his father’s (Amenhotep III) loss of a firstborn heir... but these things are just the starting point for solid answers in this astounding collection of discoveries. The style of the book is progressive, for the benefit of those less familiar with the topic, whilst providing more scholarly detail as the book progresses. Launched officially on August 28th 2018;it will be available in most ebook formats as well as paperback and hardbound. Dirk Schroeder is an egyptologist who has spent decades writing some of the most widely used tour commentaries and museum notes for major museum collections, sites and tour companies in the near east, europe, USA and the UK. Now semi-retired and settled in the UK, he has helped many to realise the real value of ancient Scripture and its precise fit with archaeological finds. Whether you are a skeptic or confirmed theist, Dirk will amaze you with what he has discovered in his extensive travels and rare linking of different academic disciplines. 6" x 9", 190 pp mostly colour, with 43 colour photos, 7 mono, and 5 drawings. Global distribution primarily through Ingram for most formats, also Amazon for the paperback and hardback.